We are located in Main Street (HWY187) in Utopia, Texas. If you find yourself in Utopia, you can't miss us. 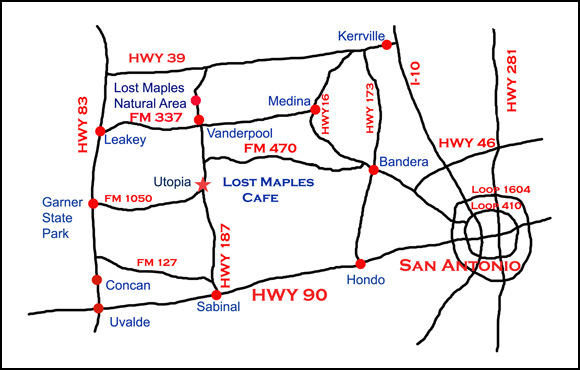 From San Antonio: Hwy 90 to Del Rio to Sabinal right on Hwy 187, go 18 miles to Utopia. From Bandera: Hwy 16 to FM 470 left 35 miles to Hwy 187, left on 187 to middle of Utopia.